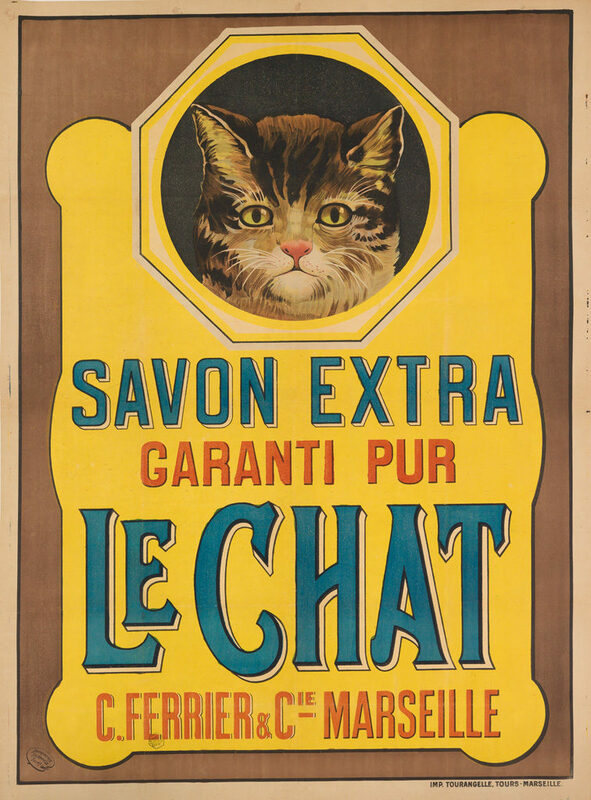 Founded in Marseille in 1853 by the soap maker C. Ferrier, Le Chat was originally a detergent for washing clothes and was sold in large 500 gram blocks. By the turn of the century, the company was producing smaller bars of soap for personal hygiene, and by 1909 they further branched out into manufacturing a washing powder. My new favorite for now!